today is the day on which your hard earned tactical skills will finally pay off. The Frozen Synapse Legacy Tournament starts kicking into full gear right now! 3. 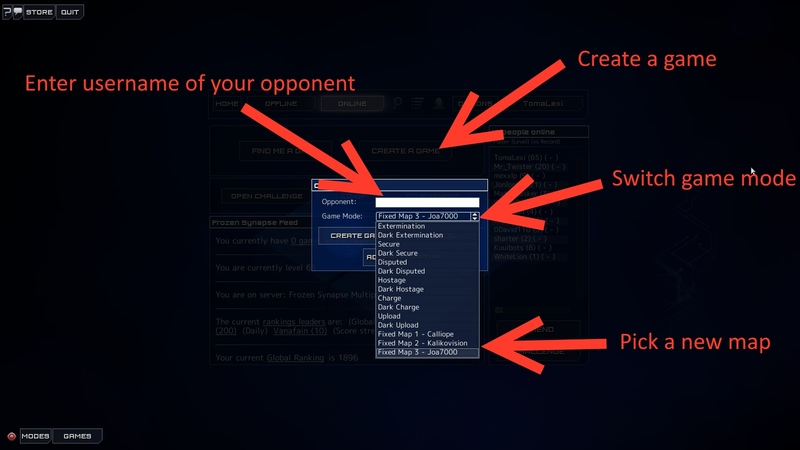 To create a match, hit the Online Button, then "Create a Game", then enter the opponent name and choose the "Kalikovision" map. 5. The matches need to be completed until Sunday 29th of January, 23:59 CET. 6. Wins give 3 points, draws give 1 point and in case of equal points, the Killed/Lost Unit ratio will decide. 7. The best two players from each group will advance to the finals (KO stage). Make sure to keep an eye on this thread and our Facebook page, where we also plan to share some related content during the tournament. I'll add some steam user links etc later. Please add this link to my id, Toma. I've changed my privacy settings so everything should be in order. Thanks! I checked every Steam profile link now and filled in the ones I could find. Corporal, Joust, Robbo and Tommy are hopefully checking back here without a reminder from me. I've tried to set up a game, but can't get the map to load. Any ideas? Also, could you confirm the game type we're supposed to be using? vinco wrote: I've tried to set up a game, but can't get the map to load. Any ideas? I already set up a few matches myself to test the maps and they worked for me, but I'll play around with it some more. Also, you only need to choose the map, which should automatically set the mode as Dark Extermination. What error do you get? Maybe try verfiying the game files in steam. Wow, you guys are quick! Didnt expect to see the first finished match already. Thanks, posting looks great. Looks like Extermination rather than Dark to me. vinco wrote: Looks like Extermination rather than Dark to me. Because of the replays? The replays are always openly viewable, but the map is set to Dark.